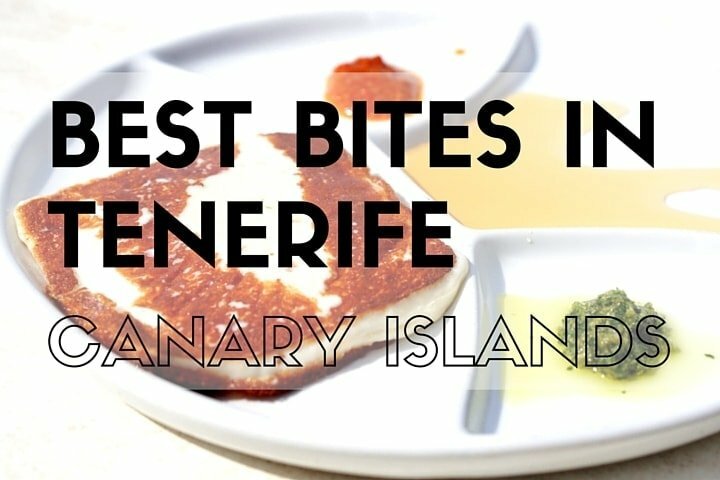 Delicious best bites in Gran Canaria! Are the Canary Islands more than just a place for northern Europeans to defrost? I asked myself this question multiple times before booking my trip to the tropical archipelago. Many people had warned me that while exploring the islands, it’s common to hear more German and English than Spanish. This doesn’t come as a shock, considering 13 million people visited the islands in 2014 (compared to only 2.1 million inhabitants). Upon arriving to the lush oasis of Gran Canaria, I couldn’t help but wonder if finding quality Canarian cuisine would be a hopeless feat. In this top tourist hot spot, is it impossible to find authenticity? The answer, fortunately, is no! Despite the hoards of visitors that flood the Canary Islands every year, it’s not hard to find great food on the island of Gran Canaria. The archipelago’s capital of Las Palmas is filled with authentic restaurants, lively markets and delicious local dishes that will leave you craving more. Skeptics can rest assured that the food in Gran Canaria is most certainly worth falling for. Here’s what to eat in Gran Canaria! 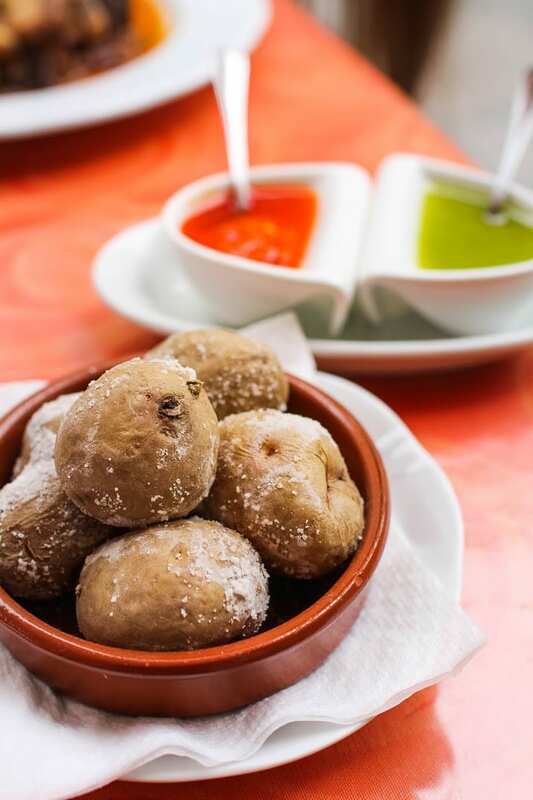 Gran Canaria’s most famous dish is papas arrugadas con mojo, or wrinkled potatoes with a spicy mojo sauce. 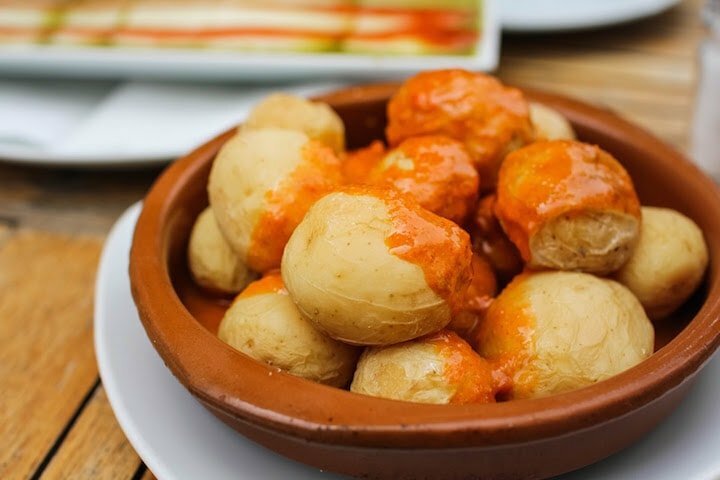 This popular plate is made of small Canarian potatoes, which are usually cooked in saltwater and sprinkled with a generous dose of sea salt. They are then served with a pungent sauce made of cumin, garlic, paprika, olive oil, vinegar and salt. The red mojo picón is made with dried red peppers, while the milder green mojo verde is typically made with parsley or cilantro. After tasting your first papa with mojo sauce, you’ll surely be addicted. While in Gran Canaria, this mouthwatering dish is worth ordering at every meal! You have literally died and gone to heaven! 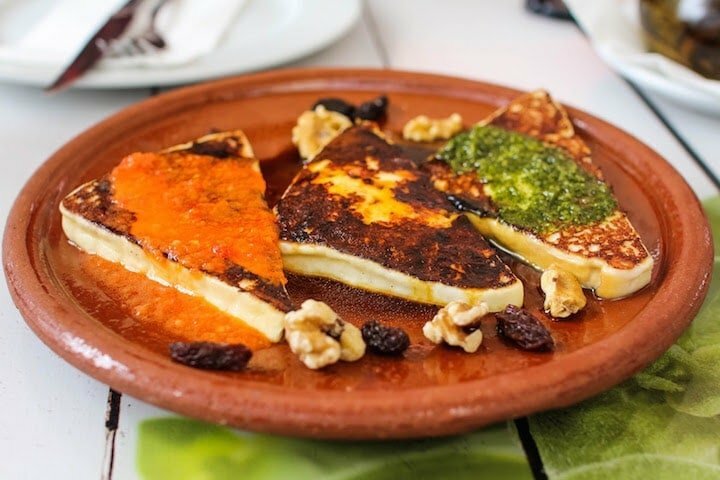 While visiting Gran Canaria, it is simply impossible not to get hooked on the queso a la plancha, or Canarian grilled cheese. Unlike the ubiquitous sandwiches we associate with kids’ lunches in the USA, grilled cheese in the Canary Islands is comprised of a semi-soft goat’s milk cheese that is seared on both sizes and subsequently drizzled with spicy mojo sauce or honey. In the old town of Las Palmas, head to La Champiñoneria on the main foodie drag of Calle Mendizábal for phenomenal grilled cheese served with local palm honey. Nothing delights the tastebuds quite like the combination of salty cheese and sweet honey! 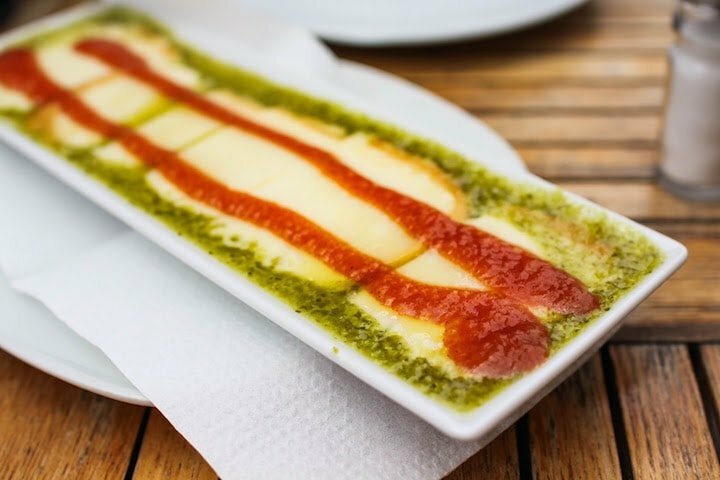 At Te Lo Dije Perez next to the Santa Ana Cathedral in Las Palmas, you can find fresh queso a la plancha slathered with green and red mojo sauce. 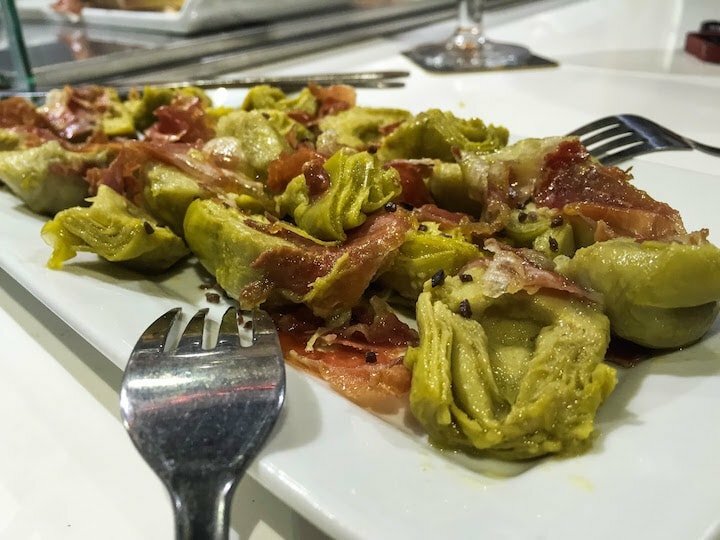 When can you go wrong with artichokes? For a flavorsome array of tapas and traditional dishes, venture to Mercado del Puerto in Las Palmas. Not only does this sleek, iron market offer Spanish staples such as jamón ibérico and croquetas, but they also have a scrumptious assortment of classic Canarian dishes such as papas arrugadas, seafood, local olives and queso a la plancha. Hopping from stall to stall makes for a delectable feast of Spanish treats! Canarian wine is surprisingly amazing. Thanks to the black volcanic soil of the Canary Islands, the wine of Gran Canaria is remarkably earthy and bold. The pungent and smoky reds are the undoubted superstars of the island. 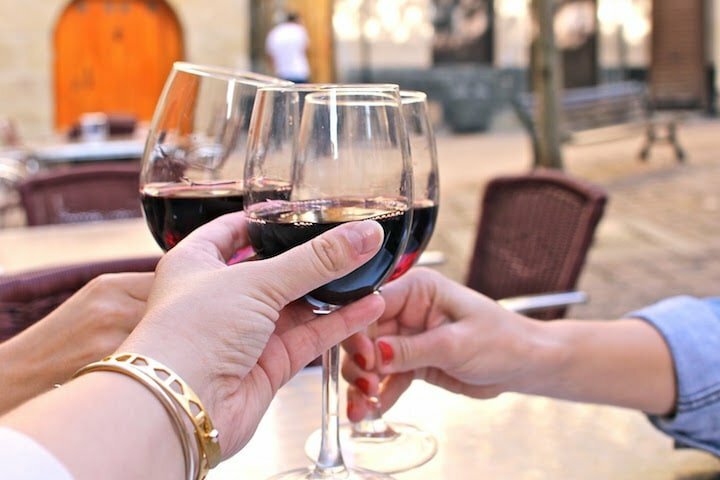 While indulging on some savory grilled cheese at La Champiñoneria, be sure to order a bottle of Bodega Plaza Perdida’s La Vica. Another favorite is the delightfully volcanic vino tinto from Hoyo de Bandama Caldera. 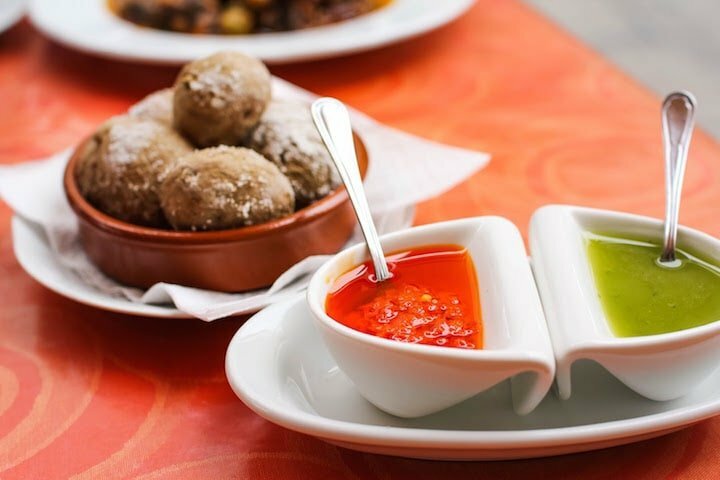 Yummy bites at La Hierba Luisa! If you’re looking for gluten-free or vegetarian options in Las Palmas, head to La Hierba Luisa on Calle Mendizábal. 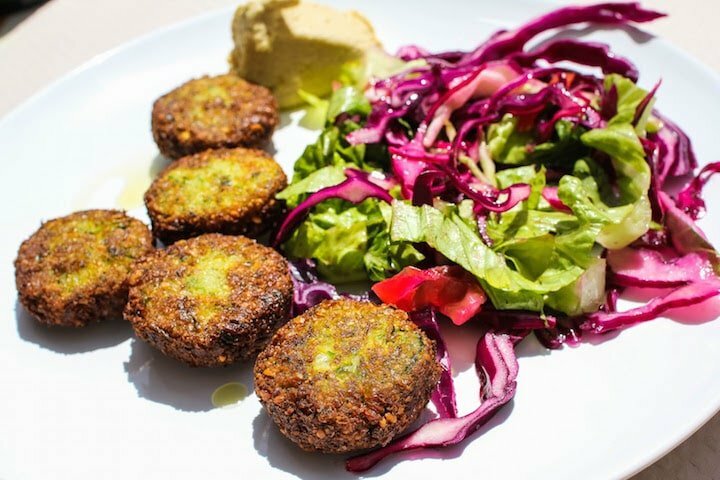 This hip-yet-unpretentious vegetarian restaurant serves unique Mediterranean meals, and their staff is incredibly knowledgable about accommodating food allergies. 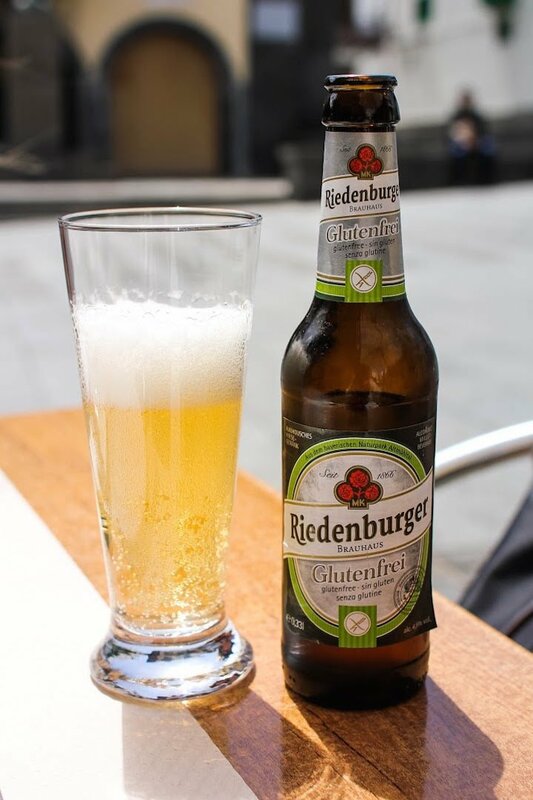 Although their kitchen is not completely gluten-free, they can still cater to those who are gluten-intolerant with items such as gluten-free falafel and beer. At Te Lo Dije Perez, every item that contains wheat is clearly marked on their special allergen menu. They also have a decent variety of vegetarian options, such as the ensalada con frutas y palmitos and salsa de berenjenas y jengibre. The waiters are well-informed and do their best to ensure that your dining experience is safe and satisfying. Have you been to Gran Canaria? What was your best bite? About the author: Hailing from Seattle, Courtney Likkel is a photographer, writer and English teacher living in Madrid, Spain. 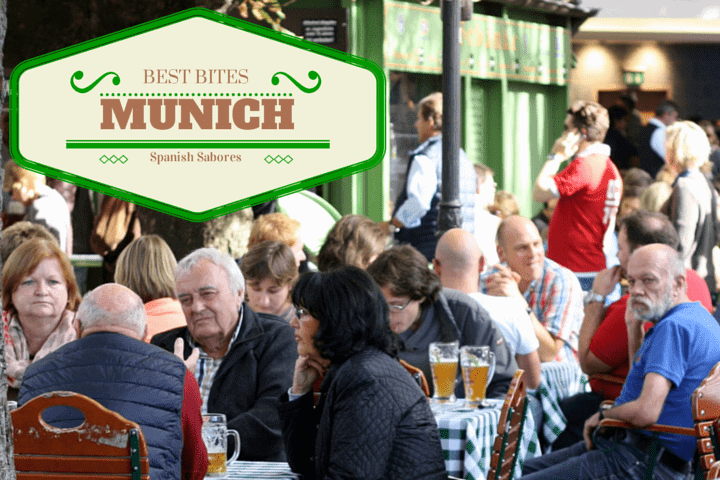 Outside of the classroom, you can find her drinking tinto de verano in the sunshine, embarrassing herself by trying to speak the local language, and attempting to seek out the best gluten-free dishes in Europe. Follow along with her adventures on her blog Adelante, or over on Facebook and Pinterest. I have only been to Gran Canaria once, but Tenerife is my favourite of the islands! My Aunt has lived there for many years now and she has definitely treated my family to some local secrets (you know it’s good when all the locals dine there, and no tourists are to be seen) over the years. Particularly the fish restaurants there are amazing!